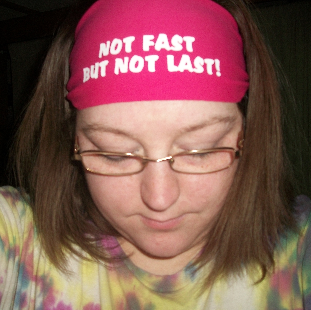 I’ve been using my Bondiband headband during my workouts the past couple weeks and I am liking it. I have layered hair so all of my hair don’t stay up in a ponytail. I used regular headbands before to keep my hair out of my face when I exercised and washed my face, which worked great. I came by Bondiband’s website and thought how perfect one of their headbands would be. My new headband is all I need. I use it when I wash my face in the morning and evening when I take my walks and during my workouts. I even wear it when I do household chores. I no longer have to put my hair in a ponytail, because the headband is wide enough it keeps my hair out of my face and keeps the sweat out of my eyes. This is so much better than my old way of doing things. Bondiband has a large assortment of products. Here is just a few of the products they make, headbands, hats, compression socks and sweat towels. They donate 10% of all profits to the Dana-Farber Cancer Institute in Boston, Massachusetts. You can even design your own. You can add your own saying or logo. They have 34 fabric color choices, 20 font color choices, and 5 different fonts. If you would like to make some for a group event such as a sports team, bachelorette party you can click the Custom tab to start creating what you want. You can customize the buddy band, hat, headband, kids headbands and the skinny bands. Click HERE to go see everything they have to offer. You can connect with Bondiband in several ways. for a chance to win two Bondiband headbands. Disclosure: I was not compensated for this product review. All opinions are my own and your’s may differ from mine.